Over half the HBCU football season is in the books and there is no more hiding behind cupcakes or money games. As our HBCU Power Rankings enter into Week Seven, we are firmly in the second half of the season. With the CIAA, SIAC and SWAC into division play and the MEAC getting into the thick of it, we’re starting to see who’s phony and who is for real. 1. North Carolina A&T (6-0): Another game, another blowout as A&T dusted off Delaware State 44-3 at its homecoming. This week A&T will attempt to play homecoming spoiler as it travels to Tallahassee to take on a FAMU squad desperate for a win to keep its faint MEAC title hopes alive. 2. 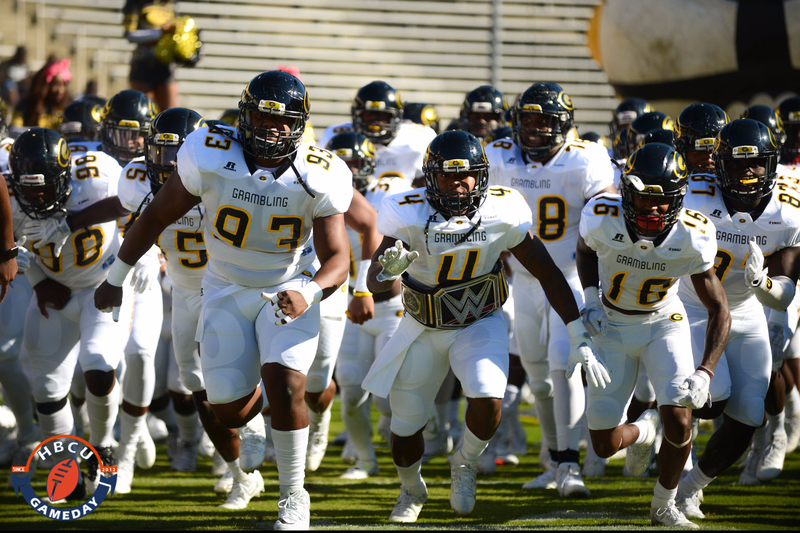 Grambling State (5-1): Grambling picked up its fifth straight win against Prairie View on Saturday, and will head into the bye week before taking on Alcorn State next week. That could be a good thing but with DeVante Kincade and Martez Carter rounding back into 2016 form, maybe you want to keep playing. 3. North Carolina Central (4-1): Despite a tough battle with the new kids on the block, Howard, the Monsters of the MEAC picked up their 18th straight conference win last week. They will look to keep their 10 game home winning streak alive this weekend when they face Gardner-Webb. 4. Alcorn State (4-2): The SWAC East champs looked like SWAC and Celebration Bowl contenders in the first half against Alabama State, then went on to go scoreless against a winless team in the second half. It will likely need to up the ante against a Prairie View team desperate for a win after last week’s loss. 5. Tennessee State (4-2): After back-to-back losses to open Ohio Valley Conference play, TSU finally got in the win column against Eastern Illinois. It will look to even its conference record when it takes on Austin Peay for homecoming. VSU RB Trent Cannon carries the ball. Photo by Michael Peele. 2. Virginia State (5-0): VSU comes into this game perfect this season as well, and its offense just keeps getting better. Since putting up 14 in a defensive battle with FCS Norfolk State, VSU has averaged 47.25 points per game, including back-to-back 56 point performances. Quarterback Corderal Cook has been a nice compliment to Trenton Cannon, and the duo will need to be in tip-top shape as VSU hopes to go a year without a loss as its last defeat was to Bowie on Oct. 15, 2017. 3. Langston (5-0): After making its debut in the poll last week, Langston met up with the SIAC’s Lane College and came up with a 27-21 win. It is now ranked eighth overall in the NAIA. 4. Albany State (4-2): A well-balanced team, ASU turns its sights to division play in an improving East, with Morehouse and Clark Atlanta next on the menu. So far, it looks like Gabe Giardina is the odds-on favorite for SIAC Coach of The Year. 5. Winston-Salem State (4-2): Determined to make (almost) every game interesting, WSSU survived a scare against Johnson C. Smith to win its first division game and start its first winning streak of the season. Saturday it faces a St. Aug team that has three of the top 10 rushers in the CIAA.